Get tickets now for the Arts Council of Lake Oswego's Drink and Draw class, taking place July 27. 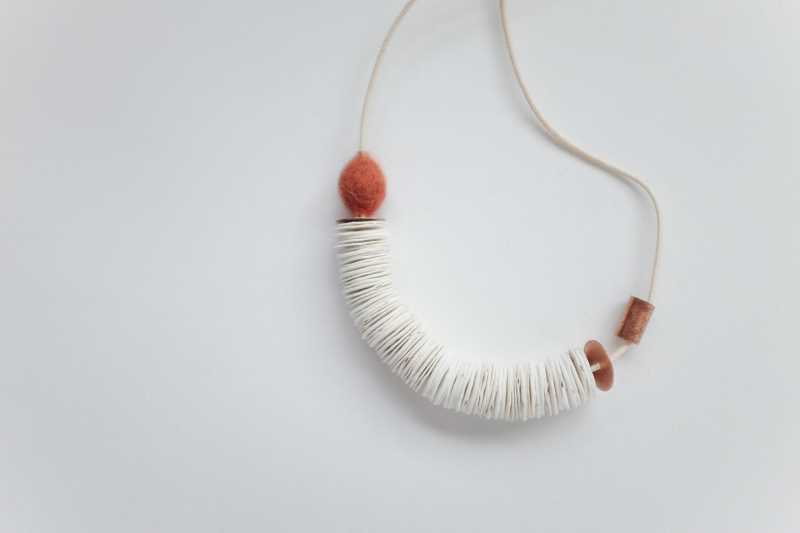 The Arts Council of Lake Oswego will host another of its Drink and Draw art events July 27 from 6 to 8 p.m. At this event, titled "Drink & Draw: Seeds of Summer," artist Jody Dunphy of Second Nature Project will teach attendees how to make plantable necklaces. Dunphy says the mission of Second Nature Project is to disperse seeds and ideas through objects and action. The objects take on the form of plantable jewelry and sculpture made of paper embedded with seeds. Dunphny will lead attendees through a demonstration of cutting, shaping, painting and punching the remnants of paper sculptures that were displayed at Art in the Garden, the Arts Council's gala event held earlier this spring. The paper will then be stacked and strung onto cord to make necklaces. All supplies, food and beverages will be provided. Dunphy grew up in the rural Midwest, where hunting, fishing, gardening and swimming in lakes were regular activities. "These experiences embedded in me an innate proclivity toward the natural world, its rhythms and the beings held within it," she said. "I moved to the city to attend college, and the shift in environment proved to be a defining experience that has shaped the direction of my artwork. Ever since, I've been exploring the human/nature relationship in the things I make." She is a graduate of the Pacific Northwest College of Art and the Oregon College of Art and Craft. She also completed an internship and artist residency at the Sitka Center for Art and Ecology. Cost is $50 per person. Sign up online at artscouncillo.org or call 503-675-3738. The Arts Council is located at 510 1st St. in Lake Oswego.